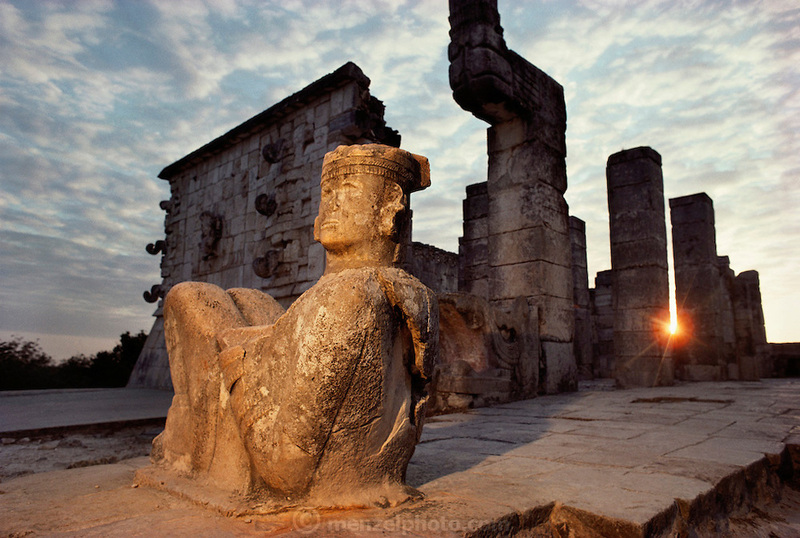 A Chac Mool statue on the Temple of the Warrior at Chichen Itza or "at the mouth of the well of the Itza". Mayan ruins in Yucatan, Mexico. These were believed to be receptacles for incense and human hearts during sacrifices.